If that less-than-a-second clip from Until You Come To Me with Shinji lying on his back, a core in his chest being destroyed in the same way as Sachiel's core (notice the ribs on his sides, one missing from his right, being jabbed into his core), that Shinji still has a part of Zeruel in him, and may be not only contaminated, but full angel, similar to what happened in Re Take. It's likely that Shinji will be killed, possibly as an angel. Now that there is only one Rei (there's no way a giant wall of glass that made up the Reiquarium survived the attacks on NERV HQ), there will be much more tension in her potentially dying, because this time, there really are no replacements. Actually, now that I think about it, 1.0+3.0 has a ton of End of Evangelion type scenarios leading up to it- Asuka being brutally attacked, but then becoming this insanely powerful badass, only one Rei remaining, all the angels (supposedly) killed, Shinji horrified and broken after the graphic, bloody death of the person who was closest to him (caused by him)... it all seems too convenient. I just hope this film will mess with me as much as, and in the same way, that End of Evangelion did. AdamMalkobitch wrote: If that less-than-a-second clip from Until You Come To Me with Shinji lying on his back, a core in his chest being destroyed in the same way as Sachiel's core (notice the ribs on his sides, one missing from his right, being jabbed into his core), that Shinji still has a part of Zeruel in him, and may be not only contaminated, but full angel, similar to what happened in Re Take. It's likely that Shinji will be killed, possibly as an angel. Now that there is only one Rei (there's no way a giant wall of glass that made up the Reiquarium survived the attacks on NERV HQ), there will be much more tension in her potentially dying, because this time, there really are no replacements. That scene in UYCTM was purely symbolic. Notice in that core scene that Shinji is being stabbed by three different knives each one representing the people who he believes ruined his life. One normal knife represents his father, One represents Misato/Asuka, and one represents himself. I don't think it has any indication on how Anno intends to kill Shinji in Final. Or that he even intends to kill him at all. Nah, Shinji will go back into space with a new appearance. Are you all ready for the appearance of the GNS? I actually found a Giant Naked Shinji fanart a few weeks ago. Haven't been able to find where I put it. He will appear, lie uselessly in fetal position and then disappear without doing anything meaningful. pwhodges wrote: Are you all ready for the appearance of the GNS? There's another GNS i'd rather see, but it would make zero sense. They maybe could do a GNA due to the character being clearly infected by an Angel in some way. hui43210 wrote: However, one must be prepared for the ultimate nightmare, GNG. He seems to be trying to become god, so we can't rule that horror out. Well. . . I'm going to need some bleach to get that nightmare inducing idea out of my head. hui43210 wrote: However, one must be prepared for the ultimate nightmare, GNG. Might as well do the full round. Misato 'died' in EOE so it's a very real possibility she could die in Final too. Ray wrote: Misato 'died' in EOE so it's a very real possibility she could die in Final too. The Nemo callback in 3.0 doomed her more than EoE. Fuyutsuki better turn into a pillar of salt. All the characters can die for all I care. Remarks like that are thoughtless, provocative, and really not clever. You're not the first to say it, so it's not even original. pwhodges wrote: Then why are you here? CT's multi-thread meltdown is depressing but compelling, like Evangelion itself. Very meta. CT, you have a little bit of Anno in you. CT: No one understands my shitposts. Gob: You never understood ours, either. CT: I thought this was supposed to be a forum without flaming...without trolling. Gob: Because you thought everyone was an obstinate blackpiller, like you. CT: Nobody upvotes me, so they can all just die. Shinji Ikari Expy wrote: CT's multi-thread meltdown is depressing but compelling, like Evangelion itself. Very meta. CT, you have a little bit of Anno in you. And I realized that I may have been a bit melodramatic at the time. Sorry, I guess I was just in a foul mood when I was feeling insecure from someone calling me annoying. I know what you're thinking, stupid C.T. just had to go and cause drama for everyone. Lay it all on me. Now that I think about it, it's likely to be friggin everybody. Kaworu states "we'll see each other again" just before... well, yeah. Plus, Gendo's plans are all going perfectly. I doubt he intended Fourth Impact to be aborted, but still, SEELE and Kaworu are no more. All the Angels are gone. He has the Key of Nebuchadnezzar and likely an entire army of MPEs at his disposal by now, if all those hanging grey hands during Shinji's initial exploration of the remains of NERV, and the onslaught of (admittedly worthless) grey Units in the Next Episode Preview are any indication. 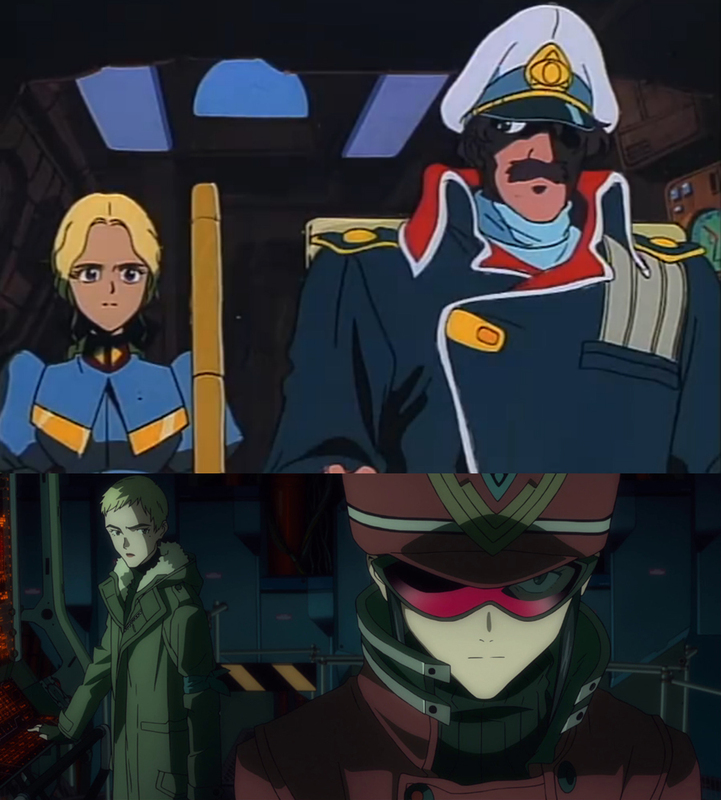 Aside from a team of inexperienced civilians piloting a stolen ship they know very little about, a trio of edgy, growth-stunted pilots (Shinji is absolutely done piloting at this point unless drugged and forced into an Entry Plug (although that's not outside of the realm of possibility...)) and maybe Yui's refusal, there's quite literally nothing that can stop the King of the Lilin from fulfilling his selfish goals. Human Instrumentality will come to pass, I guarantee it.